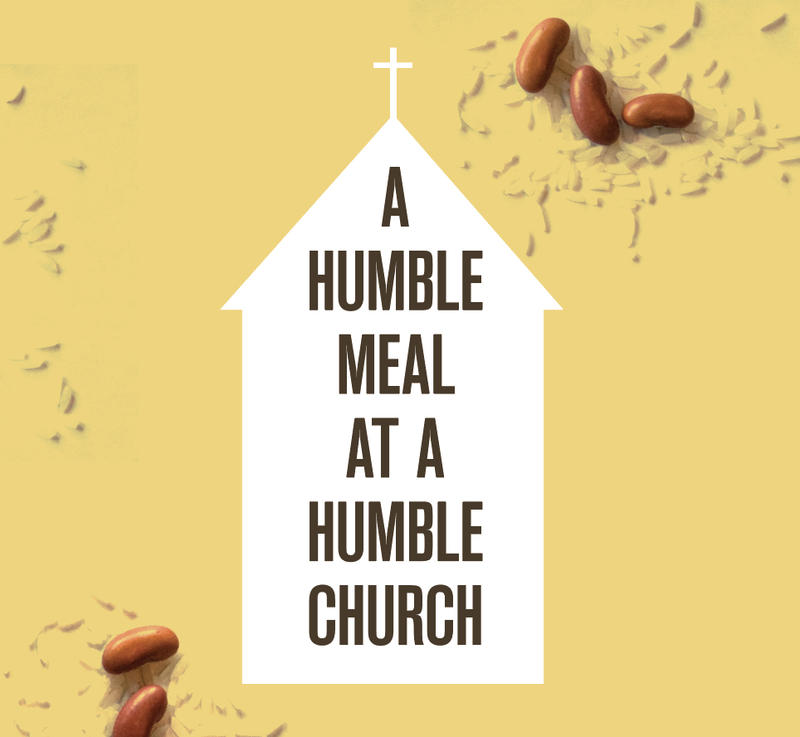 Oak Hills Presbyterian adopted the practice of Rice & Beans for Lent, because they know firsthand that a small sacrifice can make a big difference. Here it comes, I thought. She’ll ask for something, and I’ll have to disappoint her. Being the pastor’s wife, I knew that our little church just doesn’t keep a lot of cash on hand. But I was wrong about the reason for Sally’s question. People like Sally are generous because they know what a difference a little can make. I count up the extra I might squeeze out of our monthly budget and conclude, this won’t help anyone. Sally considers a much smaller offering, and knows from experience it may be just enough to get someone out of a tight spot. Ours is a humble church. It’s full of people like Sally. We skew more blue-collar than white, closer to the poverty line than the top one percent. Humble, hard-working folk. That’s why I knew our church would take to the idea of doing Rice & Beans for Lent right away. My husband and I have served larger, richer congregations in the past. 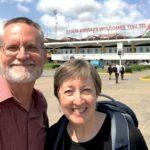 Those churches gave generously—very generously—to lots of different mission needs. But somehow, the church we serve now understands generosity on a heart level. We give because many of us know how it feels to go without. Many know what it’s like to run out of money before you run out of month. Give us this day our daily bread is a vital, daily prayer. And that’s why the Rice & Beans event was a perfect fit. Rice & Beans Month is all about giving, not out of excess, but out of sacrifice and solidarity. For our first year, we started slowly. Just commit to one rice and beans meal a week, we told the congregation. 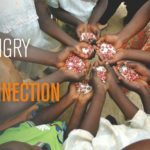 We formed weekly small groups that would meet both at the church and in homes, so that the rice and beans meal could be shared. 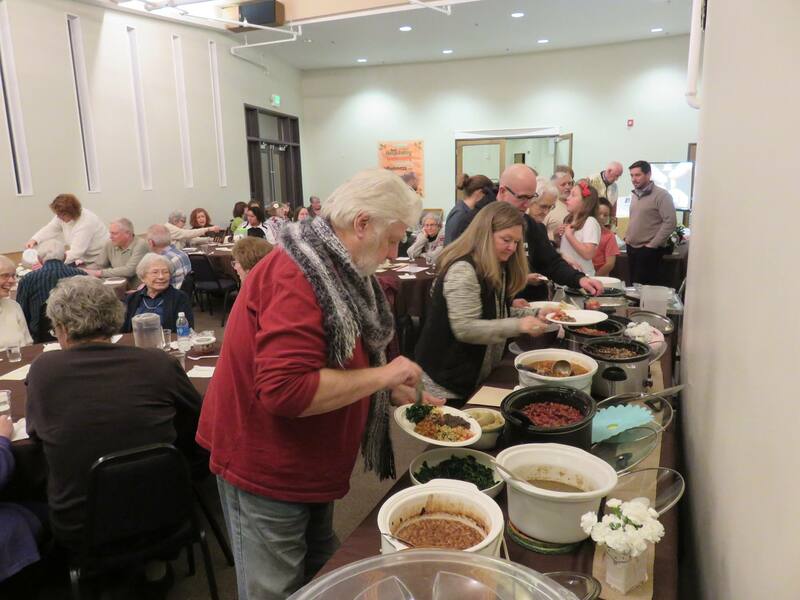 We kicked off the experience with an all-church rice and beans potluck on Ash Wednesday. And people came. The Fellowship Hall was so crowded that extra tables and chairs had to be set up. It was as if the congregation was saying, People are hungry? We’ve been there. We will gladly share what we have. At our house, our family decided that we could eat rice and beans at other times in the week, as well. 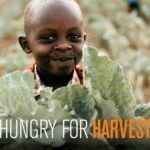 We thought about the hungry African children, and we all agreed, we can do this for them. Rice and beans crept into our menu, first at one other meal during the week, then two, or three. Our participation increased over time. It became a fun challenge, a way of honoring our brothers and sisters on the other side of the world. Meanwhile, the money jar in the church Fellowship Hall grew more full every week. It wasn’t the kind of money our previous, wealthy church might have donated. It was ones and fives, the actual amount people had saved by eating rice and beans, one meal at a time. By Easter, the congregation had put close to five hundred dollars in the jar. Maybe it’s not a lot of money, or maybe it is, depending on your perspective. When Jesus watched people giving to the temple, he declared that the poor widow who gave two small coins had actually given more than all the others. 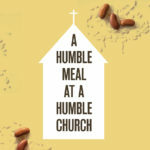 Jesus loves humble, sacrificial giving. Jesus loves our humble church. Jesus sees whether our giving comes out of our excess or out of our sacrifice, and that difference makes a difference to him. Sarah Sanderson is a writer, speaker, and a busy mom of four children. She partners in pastoral ministry with her husband, Jeremy, at Oak Hills Church. You can find more of her work featured at sarahlsanderson.com.